Available early May – Queen Rearing Courses, demonstrates the Jenter method. Queens reared will be provided to those attending course. All candidates on Basic Assessment training will be invited to participate in Queen rearing as part of their extended program. 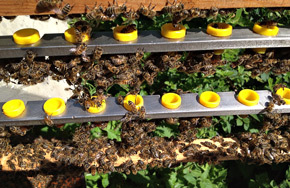 Contact Surrey Bees Training now for Queen Rearing courses.